On its blog “Worldview” — a place for leaders in the fields of language education, global citizenship, immersion learning — Concordia Language Villages writes “this book explores the challenges and successes of many Americans who want to foster an important set of global skills in their children to help them both become better citizens and increase opportunities for success in college and beyond.” Read the full review. For the Huffington Post, Amelia Friedman, founder of the Student Language Exchange, writes that Raising Global Children “excites me not just because of the rich, research-based explanation of the importance of developing a global mindset, but also because of its potential to activate parents and educators as instigators of change. Furthermore, it equips these folks with the tools they need to educate and inspire kids of all ages.” Read the full piece. Middlebury Interactive Languages did the first of a two-part series on how language learning contributes to raising global children, noting that “Raising Global Children makes a compelling case for why language proficiency is not a luxury for the privileged but a necessity for all American youth.” Read the Q&A. Concordia, Student Language Exchange and Middlebury Interactive agree that language learning matters and the sooner we start teaching our children the better off they — and we as a nation — will be. 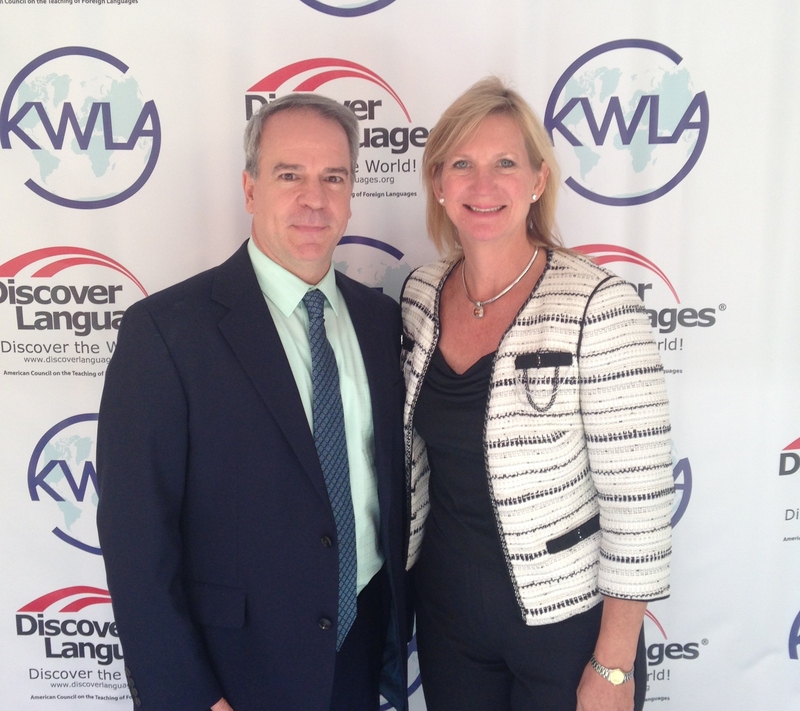 With Randy Barrette at KWLA. I kicked off the school year with a trip to Kentucky where I gave several talks in Paducah (KCTCS and McCracken County Schools) — where I was honored with the title “Duchess of Paducah” by Mayor Gayle Kaler and did a local NPR interview with WKMS Kate Lochte — and Lexington on topics ranging from raising global children to global careers. One of these talks was the keynote for KWLA’s annual conference, where I met Randy Barrette who is a passionate HS teacher who brings his global experience into the classroom every day. 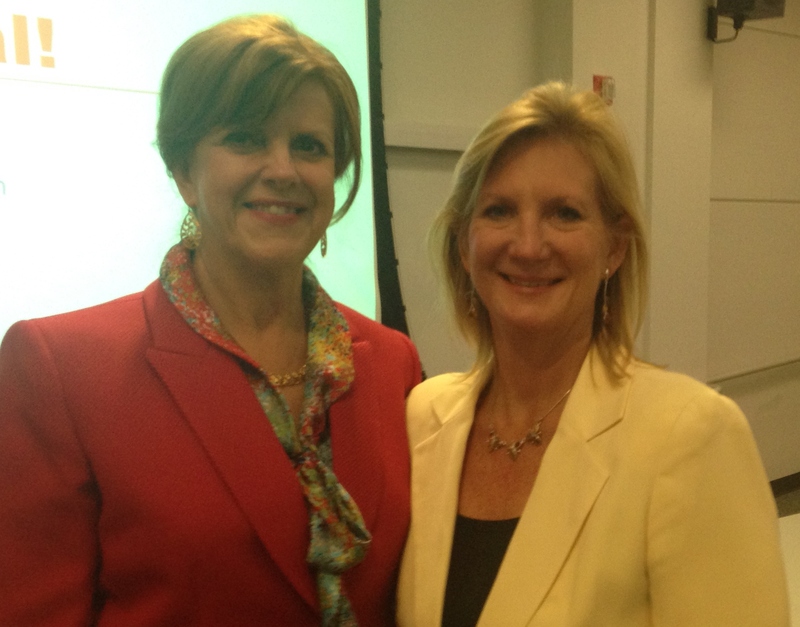 I returned to GWU to give a keynote at the Women in MBA leadership dinner, where with the inspirational leadership of Teal Griffey, President of the local chapter of Women in MBAs and the super CIBER team, we created a terrific forum for a limited number of female MBA students to discuss global careers one-on-one with an amazing group of international women, followed up at Emory’s Executive Women of Goizueta’s (sold out!) 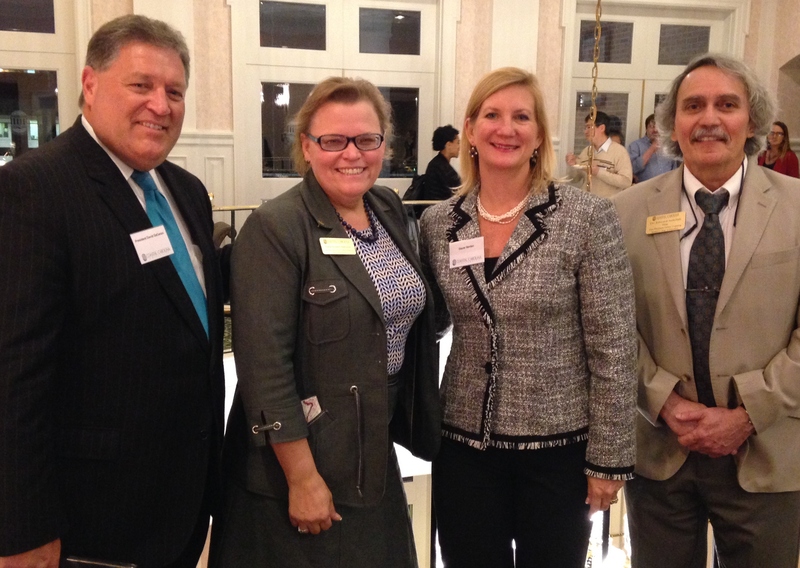 annual event in Atlanta, where Ivonne Monteagudo of Mead Johnson and I spoke about global risk: challenges and opportunities of an international career. Then it was on to International Education Week at Coastal Carolina University, Georgia Institute of Technology, Sacred Heart University, University of Toledo and Baylor University where I spent about a week and half in total on campuses talking about the importance of developing a global mindset, studying abroad, learning another language and global careers. Faculty and staff were so welcoming and the students had so many great questions! 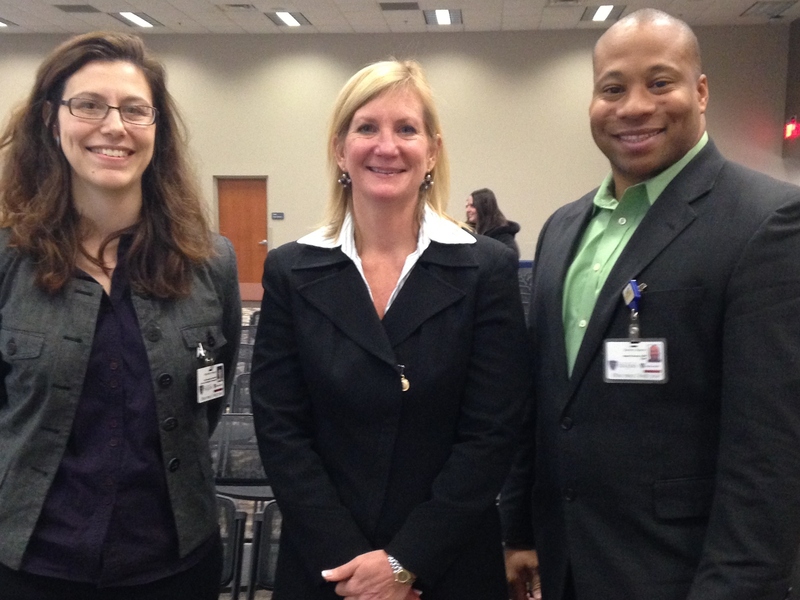 With U of Toledo’s International Education Specialist Michelle Ploeger, and Associate Provost Sammy Span. As IEW wrapped up, I was fortunate to spend it at ACTFL’s annual convention, this year in San Antonio, where I was part of the Institute of International Education’s Generation Study Abroad Team. Partnering with IIE’s Chris Powers, Glastonbury Public School’s Rita Oleksak and Concordia Language Village’s Carl-Martin Nelson, we made a strong case linking language learning k-16 and study abroad. 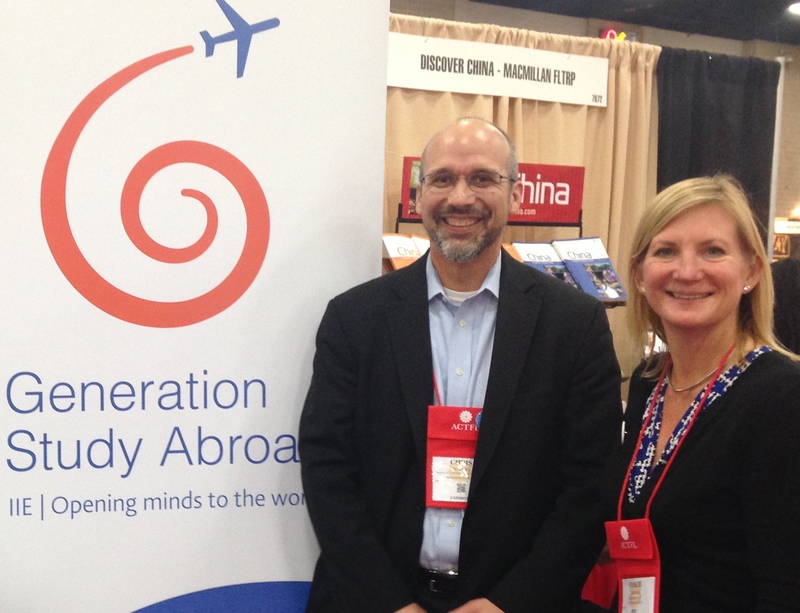 GENERATION STUDY ABROAD! We first experience the world through our mouths. To the consternation of parents and older siblings everywhere, babies stuff whatever they can reach into their maws, then lick, gum, or chew, experiencing all kinds of flavors, textures, and shapes, before spitting or swallowing as they wish. We begin as oral explorers, and parents can take advantage of that by providing their children with richly varied tastes. Savvy parents have long advised against an over reliance on commercial baby and especially toddler foods, which tend toward soft blandness and hence discourage the development of adventurous palates. Instead, while still following all the schedules for introducing new foods recommended by pediatricians, parents can feed babies chopped or ground versions of all the foods they themselves eat—to the benefit of the baby’s health and tastebuds, not to mention their parents’ wallets. By toddler age, kids can eat most of what the rest of their family eats, just chopped smaller and without the spiciest of spices. By introducing children to a variety of cuisines at an early age, they are exploring other parts of the world and learning about other cultures through a necessary function, so why not make it fun and interesting? Start with favorites and expand. If Junior already likes grilled cheese, it’s a simple stretch to quesadillas. Pureed spinach and cut-up cheese isn’t far from saag paneer. Spaghetti lovers will probably welcome Chinese or Japanese noodles. Introduce new ingredients one or two at a time so as not to overwhelm. Remember that young palates are delicate, so go easy on salt, fiery hot spices, and other strong tastes. But do use spices, letting babies and toddlers smell them and appreciate the colors before gradually introducing them as tastes. Keep recipes simple at first or purposefully omit nonessential ingredients. It’s often easier for kids to start with only a handful of ingredients, then work their way up to complex foods such as casseroles and stews. Cook together! There is nothing like putting on a chef’s hat and helping mix, pound, and roll the ingredients to get a child interested in eating the end result. Whenever you can, secure your ingredients from a farmer’s market or pick-your-own farm. Better still, grow them yourself. The more a child feels connected to where his or her food comes from, the more interesting that food will seem. Make new foods festive by using interesting colors, shapes, and layers. Sushi, burritos, dumplings, spring rolls, empanadas, blintzes, stuffed cabbage, and layered salads can encourage even picky eaters to try new things. Decorate food whenever you can. Kids can be big on presentation, which can also be a great kid activity while an adult handles the sharp knives and hot stove. Expand fun and learning opportunities by organizing themed evenings with food, a story, some music, and maybe a game from the same country. Be sure to include cuisines to which your family has a personal connection, such as special dishes from your ancestral home country or places where you have spent time, so that stories about the place can reinforce the pleasure of the new foods. Expand your repertoire by using global cookbooks and by searching websites for creative ideas on global cooking with kids. A few of my favorites are Global Gourmet, Cooking with Kids, and Epicurious. Restaurants can be wonderful shortcuts to culinary adventure, especially when you don’t have the time to cook or just want something different. 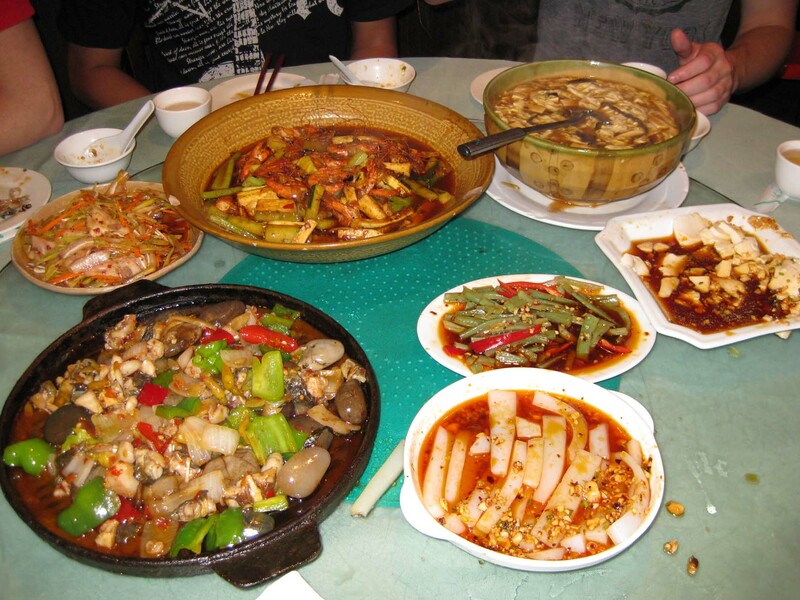 Restaurants featuring ethnic cuisines frequently offer some of the best and freshest food around, typically in settings with music, art, and other cultural artifacts that can ignite a child’s imagination. But don’t stress out too much about authenticity. Even jumbled exotica can offer fun and flavorful inspiration for kids. Once you have cultivated a reasonably adventurous eater, you’ll find that both family meals and travel become much easier. A child who has learned to like real food as much as—and hopefully even more than—chicken nuggets and French fries is a child better prepared to explore the world. For a related piece on Cooking Revolutionary Food, see my piece on Huffington Post. Women look to make the most of their experiences abroad, but it isn’t easy to operate in a new foreign environment right away. Making mistakes is natural, functioning at top speed can be overwhelming, and settling in to make things happen takes time. There won’t be enough hours in the day to resolve the numerous paradoxes or complex problems you’ll encounter while working abroad. But you’ll have to do so anyway. After you’re a few months into the groove – perhaps by the end of the first year – you’ll be wiser to the local ways. You’ll come to realize that many of the difficulties you encounter are due to who you are – not who your new compatriots are. But this new life is not what you’re used to, and it’s imperative to keep this point in mind. In fact, I recommend that you spend a small amount of time, right in the beginning, figuring out the best way for you to keep improving. Once you get into the groove, the pace runs at breakneck speed, so here’s a list of practical tenets called “Making the Most of It Maxims,” based on my research with hundreds of international women working around the world. It is critical that you understand them as you begin the journey and refer back to them often, even posting this list somewhere where you will read it every morning before you start your day. You can tape it to your bathroom mirror or turn it into a book mark to slip into the magazine, newspaper, or book you are currently reading. Becoming familiar with each maxim will make it easier for you to accept that you are who you are, while keeping front and center the importance of understanding your new environment as quickly and effectively as you can. You want to do more than just get by; you want to be as successful as you can be. Remember that you are the guest and therefore may need to modify your style. Figure out what the cultural norms are in social and business environments. Accept that paradoxes are part and parcel of the international adventure. Don’t be too hard on yourself when you make mistakes. Draw on your female management style. First, succeeding abroad usually depends on effectively adapting your behavior to coincide with local norms. Is there something in your style that you should tone down or amplify? What aspects of your character or traits will enable you to make every new impression a positive one? First impressions matter, and you will be creating lots of them. To make sure your substance shines through, every day ask yourself who you’ll be meeting, what they are like, and whether there is something you can and should do to enhance the interaction. Second, things are not always as they seem, look, or even sound. Be cautious, take note, and if something happens that seems strange or contradictory to you, ask one of your local guides. You must learn the written and unwritten rules, which may vary by industry, hierarchy, and culture. Pay attention, ask questions, and figure out how things are done in your new environment. Reading books on culture shock can advance your knowledge in this area. An ounce of preventive embarrassment could save you pounds of mortification. Fourth, cultural mistakes and misunderstandings are inevitable. Learn from your blunders so you don’t make them again, and be just as understanding when others make mistakes, too. Don’t be afraid to publicly laugh at yourself; laughter can be a great equalizer and ice-breaker. Fifth, the style and manner with which women seek solutions often gives us an advantage over our male counterparts in cross-cultural situations. For example, leverage your ability to build teams into a strong and powerful network across borders. Use your excellent communication skills to listen effectively and enable you to resolve tricky business situations in unfamiliar territory. Make the most of every single day. Finally, keep a positive attitude. Some days will be more difficult than others, and you will need additional fortification. Devise a system that keeps your tank full, as it were, whether it’s a daily workout routine, meditation in the morning, fresh flowers, the promise of regular travel, or contact with friends or family. Take care of yourself to ensure an upbeat and optimistic approach to the overall experience. If you can follow these “Making the Most of it Maxims,” you will a great living-abroad experience that you can look back on in years to come. Neither global education nor learning a second language is a component of the standard American school curriculum. But that doesn’t mean it is wise policy. Even without including foreign language learning, research on global education shows that it also benefits general education by supporting critical thinking, especially in terms of encouraging a consideration of multiple perspectives, a skill identified in much research as supporting success across a range of academic disciplines and careers. The reflective practices and consideration of varying perspectives that well-designed global education programs foster have been demonstrated to support analytical skills in all areas of education. Effective global education programs can also encourage brain development by helping children come to grips with questions of personal, community, and national identities. Some researchers have found that the complex perspective issues that naturally arise in global education can assist with “open-ended, creative problem-solving,” and with the ability to “reflect on contexts,” useful skills not just for global life and work, but here in the United States too. Benefits understanding and security in one’s community and society. In order to give our children the best opportunity to thrive in the new global world, we need to give them a global education. Working together, teachers and parents can raise global children, expanding their personal horizons while opening up a world of personal and professional opportunities. 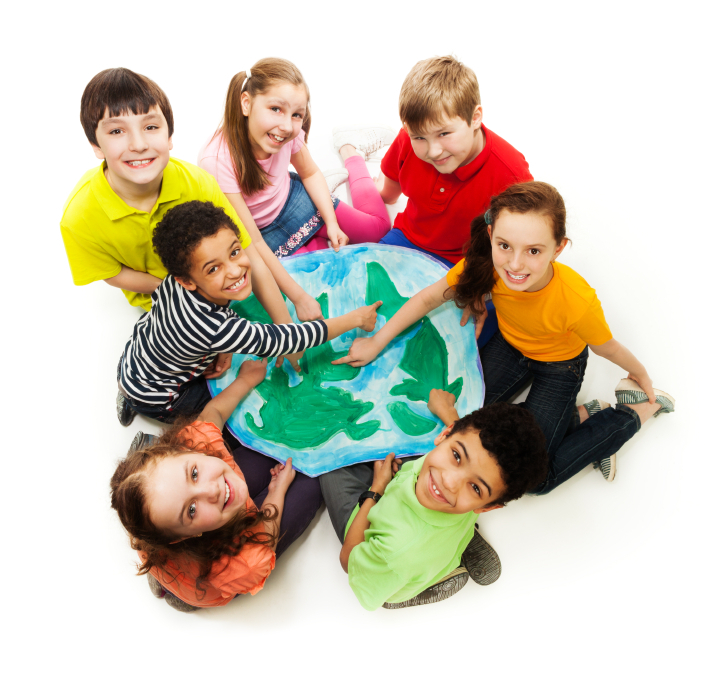 When it comes to specific advice on how to raise globally minded children, we recognize that not only do we all live in different geographic locations, we are all at different stages in our lives financially, emotionally, and globally. Some of you may already be engaged in raising globally aware children and are looking for additional ideas to supplement your actions. You may have younger children, teenagers, or a mixture of ages. Or you may not even have children yet, but are interested in learning how best to prepare for their arrival. Others may understand the need for—and excitement of—opening the world for your children, but have little international experience and are unsure where to turn for resources. Some of you may even be afraid that your own lack of global awareness will be a barrier to helping your child become the globally aware individuals that you know they need to become. We all have different means and desires and so each person’s approach to raising global children will be a little different. We imagine that for every parent who already has the means to encourage global thinking, there are probably 100 who appreciate the value, but have little global awareness themselves. And you may not live in a town or even a part of the country that has much access to multicultural learning opportunities. No one has all the information to answer the variety of questions about lifestyles and paths, so it’s best to tap into a network of globally minded people for insight, ideas, and inspiration. Whatever you’re looking for on the spectrum of raising global children, this book is filled with proven parenting strategies, practical tips, and real-life examples culled from the experiences of hundreds of globally minded individuals and families. Some people think that raising global children is only for the well off. This is not true. Raising global children does not have to cost much money, nor does it require hundreds of hours of free time. The single most important part of raising global children is to instill in them the right attitude. Traits such as curiosity, empathy, compassion, and flexibility cannot be bought, they must be taught. To be sure, travel, ethnic restaurants, and cross-cultural museum exhibits can enhance a child’s global mindedness. But so, too, can the treasure trove of books, music, movies, magazine, and maps available at the local public library. Our point is not to advise you to pile on the costly extracurriculars, but to enjoy exploring the world with your child in the many different ways highlighted throughout this book. Incorporate an idea or two into your schedule as you see fit, and think long-term about the actions you can take to help your child become more globally aware. And while some things suggested here do indeed cost a lot of money, there are plenty that don’t cost much, and others that don’t cost anything at all. Just by reading this book you have expressed an interest in the topic, which is far and away the essential first ingredient in raising a global child. To live the life of an expatriate or that of the road warrior – that is the question. For many professionals, having an international career while working at home base is the optimal choice. For some, their careers simply took off this way and although they may have been afforded the opportunity to move overseas, they declined for personal reasons. Some did not want to give up a seat so close to decision-making power, viewing their proximity as a better position for their advancement. This can certainly be true. Many times, however, the only way a new manager can acquire international skills is to take the risk and move abroad. Following is a snapshot of the major differences between the two. You decide what’s best for you. Overall, the vast majority of women and human resource executives we interviewed agree that although you can usually do your job effectively while traveling in and out of countries, you miss the deep dive if you don’t go overseas – at least for a portion of your career. The new globetrotters tend to work and live abroad for at least three years and, if possible, return to an international or global position as their next move. For more information, check out Get Ahead By Going Abroad. As college students who are studying abroad take the time to pack and plan for their time abroad, I’d recommend they also think about — and be prepared for — culture shock. Culture shock is one of the most widely discussed and often misunderstood aspects of any international experience. Technically speaking, culture shock is the confusion, disorientation and emotional upheaval that comes from immersion in a new culture. For example, you may be tired of using frustrating and confusing public transportation that doesn’t seem to work well. Maybe you’re exhausted from making yourself understood all the time and just want to speak with someone like you. Even just standing out, looking foreign, bothers many people abroad. These minor problems balloon into massive problems. You feel like an outsider and may even be depressed. You are experiencing culture shock. 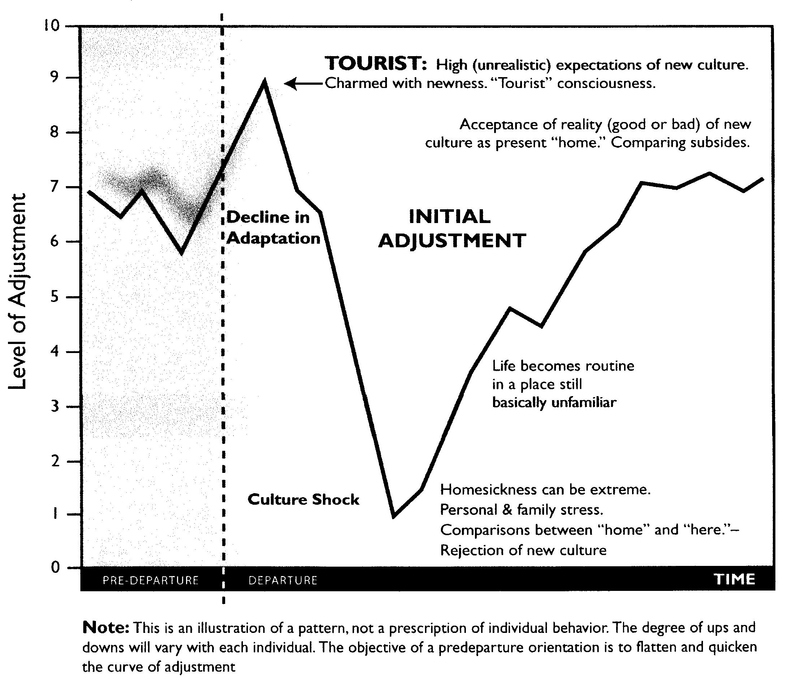 Culture shock typically follows a three-phased cycle starting with a honeymoon period when everything feels grand. But fabulous turns to frustration, depression and confusion, often triggered by an event involving seemingly minor cultural differences. All usually ends well, however, as the recovery phase restores equilibrium after you’ve regained confidence and learned to appreciate the culture as a whole. A little bit wiser, you’re able to move on. International newbies are often either overly optimistic (“I won’t have any trouble adjusting”) or overly pessimistic (“Everyone takes six months to get used to the basics before they can do anything productive”). Assume differences until similarity is proven. Work with a culture rather than against it. Listen and observe, think and then talk. Focus on the benefits of differences rather than simply trying to avoid mistakes. In fact, almost everyone who spends a significant time abroad experiences some degree of culture shock with every major cultural transition—whether moving to a new culture, or dealing with a new cultural group or sub-culture at home. You can experience a type of culture shock if you are working on a project on your home campus with a group of diverse people from different backgrounds, or returning to the U.S. after time abroad. Whatever your encounters are, you will need to develop coping mechanisms. Once you’ve spent time in cross-cultural environments, you will learn to recognize your own pattern of adjustment to new experiences. You will put to good use the coping mechanisms that work best for you. 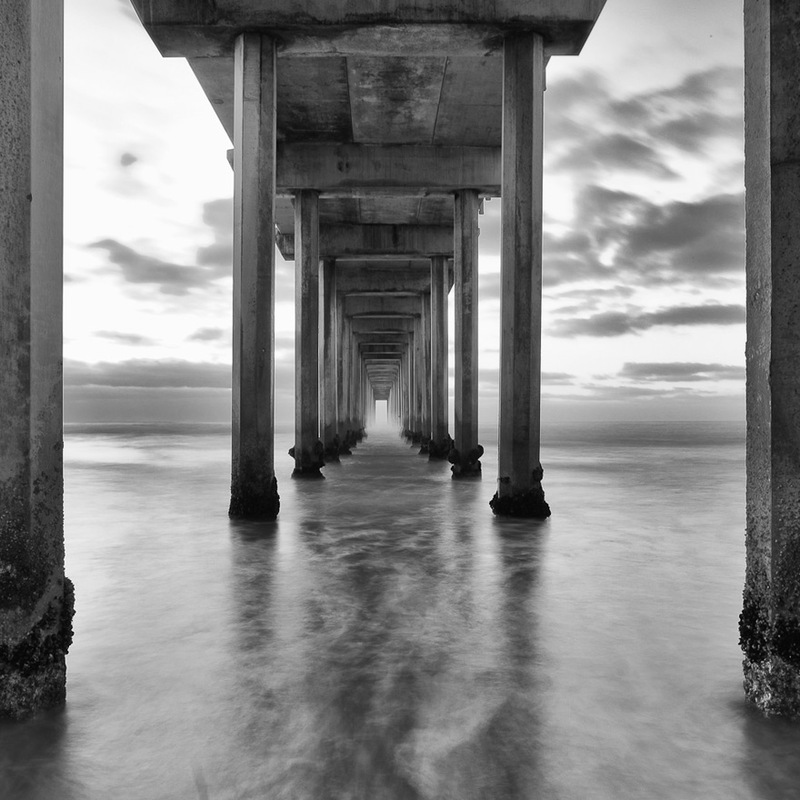 By giving yourself the space, time, and other support you need to adjust, you can smooth your transition and develop your own culture shock absorbers. This adaptability is important because you will need to cope and move on—not let these encounters stymie your growth or experiences—so you can continue to study and eventually work productively across cultures. That said, if you find that your case of culture shock has become a consistent, awful strain that gets worse rather than better, take it as a warning sign, and consider reaching out to your sending program or local adviser for help. Most students find that like subsequent ripples from a stone being thrown in a pond, the height and frequency of culture shock waves should diminish with time. This is why many students wish afterwards that they had stayed abroad longer; they recognize that it does get easier with time. But in the beginning you’ll need to learn to adapt. But culture shock often happens when returning home as well. 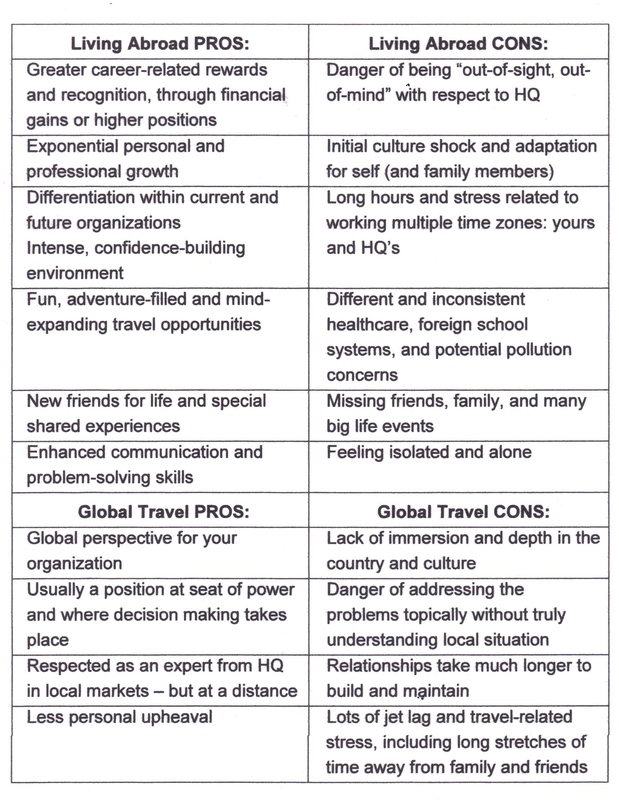 Savvy internationalists also remember that the toughest bouts of culture shock often happen when transitioning “home.” This reverse culture shock or re-entry shock also requires coping techniques—and preparation. 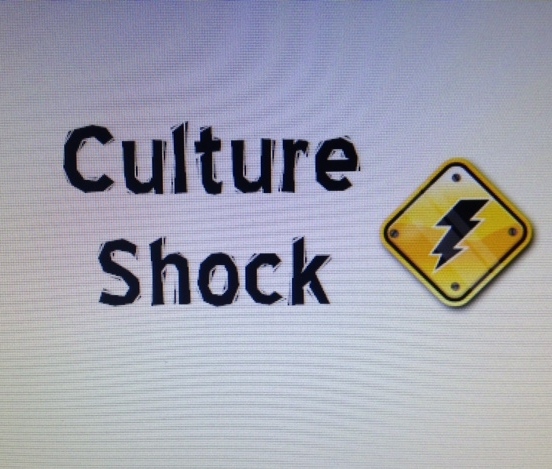 For more information on culture shock check out the popular Culture Shock! series. With school just around the corner, children may have the opportunity to meet kids who are different than they are. Encouraging them to make friends with students who are different — no matter how big or small the difference — is an excellent way to encourage acceptance of diversity and participate in friendships that bridge cultures. This, in turn, can lead to forming friendships across cultures and nationalities, which is recognized as one of the most important aspects of developing a global mindset. Cross-cultural learning and sensitivity is all theoretical until children actually begin interacting with people from different backgrounds and with different assumptions about the world. Such interactions aren’t always easy, but they are rich with possibilities for new perspectives, ideas, experiences, and awareness. The most productive of these, naturally, will be those with other children with whom they can relate on the level that comes most naturally and comfortably to them. Having play dates and caregiving swaps with children and families from different cultures often means a chance for your child to try new foods, games, and other fun activities, and hopefully is a way to avoid play dates centered around Xboxes and the classmate with the most American Girl dolls. School. Both public and private schools are generally more diverse and multicultural today than ever before. That is one of the great advantages of living in regions of cultural diversity. By making a point of inviting over classmates who come from different backgrounds, you will be helping both children learn that different doesn’t mean wrong, just different. Libraries and parks. Local libraries and parks often host events celebrating a range of holidays relevant to various immigrant and established cultural populations in the area. These events, along with the stories read and games played there, can be great ice-breakers for building friendships. There may also be groups that meet regularly at a local park or library that focus on a certain language or culture. Ask your local librarian or park ranger for details. Faith-based groups. Churches, synagogues, and mosques often host exchange programs with fellow members in different parts of the world. Some faith-based communities organize mission trips for young Americans, trips which can often be positively transformative. Cultural festivals. Check out community calendars, local websites, and other sources for information on ethnic festivals, holiday celebrations, and cultural activities. Attending these can be a lot of fun and offer new and interesting games, crafts, foods, and other activities to add to your family’s repertoire. Ideally, you will also meet some families there whose kids hit it off with yours, and can provide them with new ways of viewing the world. Sports teams. Depending on where you live, immigrant families may regularly get together to play their national sports. Such groups are generally welcoming to local families who want to join in. In addition to learning how to play a new sport, you are also likely to learn a good deal about the culture from which it comes. Immigrant neighborhoods. Immigrant communities typically offer ethnically focused restaurants, groceries, art galleries, craft supply stores, and other venues where it is possible to meet and get to know significantly different American families. Refugee groups. Many groups around the United States help resettle refugees who have come to our country from difficult situations in their home countries. Of course, newly arrived refugee families often still dwell emotionally in their home country crises and you will need to exercise reasonable caution in not exposing your children to too much “second-hand trauma.” But children can be very resilient, and often what newly arrived refugee children most want and need is to find welcoming, new friends with no connections to the turmoil they have left behind. As a result, they can quickly become steadfast friends and playmates for U.S.-born children. Time spent with refugee children can also work wonders in helping your child focus on what is important in life, especially family, and all the fun that can be had without a lot of money or material goods. For information on volunteering as a family or otherwise helping make connections with refugee groups in your area, contact your local chapter of Integrated Refugee & Immigrant Services (IRIS). Academic visitors. Your local college or university may have a host of graduate students, post-docs, visiting scholars, and other academics who have brought along their families, and whose children are also looking for friends among the local population. International exchange groups. A variety of national organizations are increasingly dedicated to helping strengthen people-to-people exchanges between Americans and the rest of the world. You can do a tremendous amount to introduce the outside world into your home via any of the many programs that bring foreign visitors to the United States for periods of time and involve home-stays. Many local World Affairs Councils, for instance, host visiting delegations through the U.S. Department of State’s International Visitors Program, and many such visitors enjoy short home-stays, anything from a meal to a weekend. Hiring an au pair to care for your children is another option, and some places to look include: Au Pair in America, InterExchange, and Cultural Care Au Pair. Pen-pal programs. The Internet has transformed traditional pen-pals into electronic pen-pals or “ePals.” And while there will be no more exotic stamps and fascinating stationery arriving from far away, gone, too, is the necessity of waiting weeks for a response. Parents should exercise caution and focus on sites that do not require any personal information from your child, and monitor with whom they email or chat. But having said that, there are still many rewarding sites worth looking at, including Students of the World, ePals Global Community, and A Girl’s World. Meet-up groups. The Internet can be a rich source of information on groups organized around any number of topics, including those focused on language or cultural exchange. As mentioned before, just be sure to exercise caution when meeting up with people you don’t know, especially when children are involved. Choose a public place for first meetings. If you can’t find a group to join in your area that is dedicated to international and cross-cultural exchange, consider starting one! Of course, friendships must be natural and not forced. But if your lifestyle permits, try stretching yourself and encouraging your child to add more diverse and multicultural friendships to their existing mix. Your children can learn many great life lessons from dealing on their own terms with children from radically different cultures and backgrounds, whether they are kids from faraway places or kids who look and act differently and yet live in the same town. If you’re interested in learning more about helping your children develop a global mindset, check out Raising Global Children. As college students head off to campus this autumn— some for the first time as freshmen — they should have study abroad on their minds. 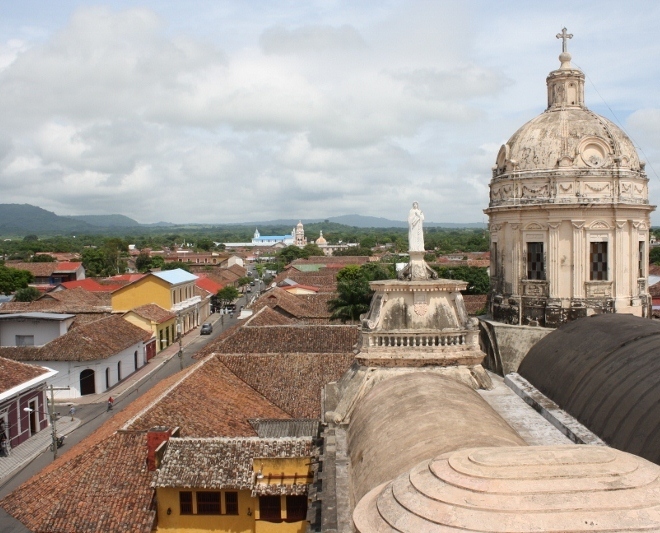 Although only 10% of U.S. students actually study abroad over the course of their academic career according to the Institute of International Education’s annual Open Doors Report, I would encourage both students and parents to consider how study abroad can enhance a student’s undergraduate degree. No matter your reasons for studying abroad, you will need to depart ready and open to experiencing the international lifestyle. Some students—and their parents—may have doubts about studying abroad. You may not be sure if you’re ready to spend six months in another country struggling through a second language. You might be concerned about leaving a boyfriend, girlfriend, or groups of friends you’ve recently made. Perhaps you think it will interfere with your coursework for your major, possibly postponing your graduation date. Maybe you’ve never traveled internationally before. Only you can tell if you have the curiosity, openness and interest to successfully study abroad. Picking up and moving to another country for a semester or a year requires a good deal of research, thoughtful planning, and honest self-assessment. To be sure, no one knows you as well as you know yourself. In addition to determining if studying abroad is a good educational, cultural and emotional fit for you, it’s highly beneficial to determine the kind of study abroad program that is likely to suit you best. Fortunately, there are many more options than there were just 20 years ago when, generally speaking, you either participated in your school’s established study abroad program or you just didn’t go. The flip side of that, of course, is that the abundance of choices available today can seem overwhelming. But if you begin your decision-making process with a prioritized list of criteria, you should be able to narrow the options down to manageable levels. Here’s a list of questions to get you started. What do you want to study? It could be your major subject, it could be the native language, or it could be simply to help meet diversification requirements in a creative and intriguing way. And, of course, it could be a combination. You should also consider whether it is important to you to have opportunities to conduct research in your field, or to take part in internship or service learning activities while you are there. How important is it that you earn credit for studying abroad? In light of the total financial outlay of studying abroad, the vast majority of students want to receive at least some academic credit for their time and effort. But not all need to receive a full term or semester’s worth. So what is the minimum number of credits you will need to receive to stay on track for graduation? Where do you want to study, and why? Is there a specific country or region that interests you, perhaps one that you would want to return to work and live in after graduation? Is there a specific language you want to work on? Is there a part of the world that you are exceptionally curious about and can’t wait to begin exploring? The answers to some of these questions can effectively narrow your search for an appropriate study abroad program. For example, if you want to study classical Greek architecture or Incan history, you’re pretty much going to end up in Greece or Peru. But other goals, like wanting to become fluent in Spanish, can leave you with a wide range of choices. If this is the case, you will need to identify secondary levels of interest such as history, culture, environment, or perhaps long-term business opportunities. Where and with whom do you want to live? With a host family? In your own apartment? In a dorm with other students? And if in a dorm, with other American students, with students from all over the world, or with local students? Do you want to go abroad with a group of friends? How long do you want to be overseas? Options typically include anything from two weeks to a full academic year. For many, however, especially those who have jobs or who are locked into rigid course sequences, a summer program might prove to be the best alternative. Others study overseas for a full year after receiving their U.S. bachelor’s degree. How proficient are you in a second language? Are you proficient enough to take classes in that second language? (If so, you should certainly do so.) Or is your skill level high enough that you can have conversations, but you think that coursework will be too much of a struggle? If so, you may need to find a program taught in English. However, you may also be able to take additional language classes while you are there, and make the most of out-of-classroom opportunities to improve your local language skills. What is the program going to cost? While tuition and fees plus room and board account for the lion’s share of the expenses of studying abroad, there are frequently other expenses involved, and you will need to plan for these as well. Among the more obvious are airfare, visa fees, and everyday expenses such as food and local transportation. But don’t forget to account for additional expenses such as excursions, field trips, and mobile phones. Are you currently receiving financial aid? If so, will you be able to apply it to the study abroad program? If not, will you be able to find an alternative source of funding? Do you have a job or internship that will be adversely affected? If so, find out if you can be granted the time off and if it will be possible to reapply upon your return. Many employers may be impressed that you are picking up and moving overseas to further your education, and may be willing to accommodate you. But you’ll need to verify this in advance. How much freedom do you want or need? Study abroad programs differ widely in their structure, formality, and level of independence. Keep in mind that there are pros and cons to both ends of the spectrum, and that living in another country offers a degree of independence all by itself! What do you want most out of the experience? Do you most want to learn, experience a new culture, teach, gain work experience? Whatever your specific objective is, make sure that the study abroad program you choose can help you achieve it. Do you have a disability? 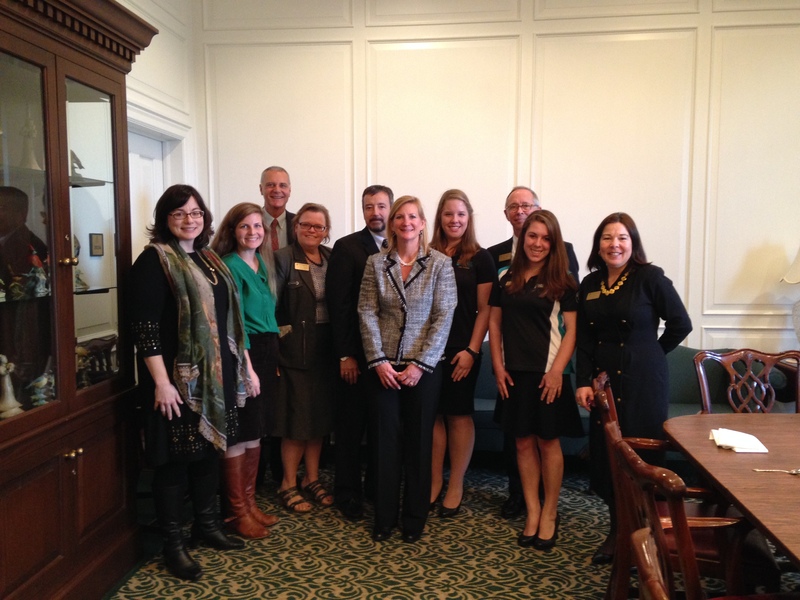 Talk with your study abroad office or program, and alumni with similar experiences. Be realistic about the challenges you may face, as well as open to the possibilities and opportunities. Research your specific needs, build support networks, and trust in your adaptability and resilience once abroad. This list should help you begin to sort through the many considerations you’ll need to weigh about any individual program. But keep in mind that although these practical elements are all important to some degree or another, an open mind and your level of personal preparedness will probably have the greatest impact on your international experience. If you’re looking for academic escape or a stress-free semester primarily spent gallivanting about, studying abroad is not for you. If you simply want to travel abroad, then do so—and dispense with the studying part. Not only will it be less expensive overall, you will be able to do it at the time of year that best suits your schedule, and you will be able to go wherever you want, not just where a suitable program is offered. Just don’t expect the same results. Studying abroad offers the chance to study with professors in a university system different than your own. It affords you the opportunity to take classes that aren’t offered at your home campus, often in a second language. It enables you to study alongside students from the host country and a diverse group from around the world. You’ll actually be in a learning environment, not just a travel mode, which means challenges—and rewards—on a completely different scale. For more information on study abroad, check out IIE’s Generation Study Abroad campaign designed to double the number of students going abroad by 2019. In conducting research for my most recent book, Raising Global Children, I interviewed hundreds of people. One particular group, college professors, expressed a great deal of concern over the level of language capabilities students were coming onto campus with as freshmen. Many Americans today don’t study a foreign language, and those who do often move from one to the next in the hopes of finding one that’s easier to learn (I did this: Spanish to French to Italian to Polish to Mandarin), and others just give up because it takes a lot of time and effort. But it doesn’t have to be this way. Requiring foreign language as part of the K-12 core curriculum will help more Americans become what so many others are around the world: proficient in a second language. Proficiency is the ability to use language in real world situations in a spontaneous interaction and non-rehearsed context and in a manner acceptable and appropriate to native speakers of the language. Proficiency demonstrates what a language user is able to do regardless of where, when or how the language was acquired. The demonstration is independent of how the language was learned; the context may or may not be familiar; the evaluation of proficiency is not limited to the content of a particular curriculum that has been taught or learned. An assessment of proficiency determines if the language user provides sufficient evidence of all of the assessment criteria of a particular level according to the ACTFL Proficiency Guidelines. The individual must do everything expected at a level in a sustained fashion, that is, all of the time, in order to be rated at that level. Testing for proficiency can be easily done through ACTFL’s Assessment of Performance Toward Proficiency in Languages (AAPPL). My daughters were tested in Spanish at the end of their eighth-grade year; they have been studying Spanish since Kindergarten. Their results, which were great, helped me understand very clearly where they each stood on the ACTFL proficiency scale. This is important because it takes many years to master a language and this test helps a parent see the continuous progress the child is making, even before they become proficient. I am confident they are well on their way to proficiency by the end of high school (as long as they keep studying). For more information go to ACTFL’s site.